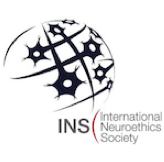 innovative approach, and relevance to neuroethics. be no more than 250 words. Multiple submissions are permitted. proposals are encouraged. Submissions received after May 15, 2012 will not be considered. expenses, and registration fees for the conference. Registration will open in June 2012. Attendance is required for accepted submissions to be included in the program.